Pay 0% on all credit card transactions and only pay on debit card transactions. 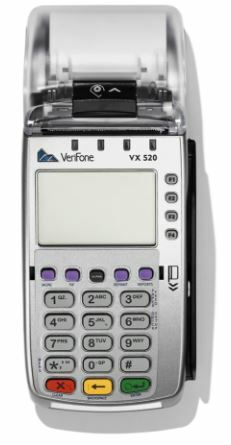 Our surcharging solution keeps you 100% Compliant, ready to accept credit cards without any equipment requirements The surcharge passed onto your customers who choose to use a credit card. The customer is only surcharged on credit card, no surcharge fee on debit. Program complies with all rules to make sure you are covered. It is virtually impossible to surcharge your clients without a solution like ours. We can serve businesses in 44 states except. We do not yet serve companies in CO, CT, MA, ME, OK and KS. Instantly Improve profit margins and stop paying expensive fees to accept credit card. 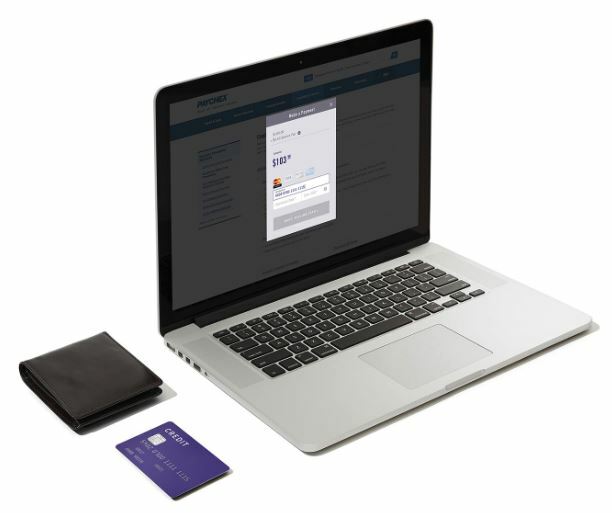 Our surcharging solution passes on the fee to the consumer and you pay 0% in processing fees to accept credit cards. No upfront cost and no long term contract. Our programs are month to month so you can cancel anytime. - Some Companies offer a Cash Discount Program, is this compliant? Answer: In general, no, because they list the cash price and add a fee at the point of sale. When you add a fee to a listed price, you must comply with the card brand rules and must not apply the fee to a debit card. A compliant cash discount would show the “credit card price” alongside the “cash price” with equal prominence whenever prices are posted or quoted. Businesses with larger transaction amounts are typically not accepting cash, so they cannot offer a cash discount. - Can I pass on the cost of card acceptance with a “convenience fee”? - Do different rules apply for Government and Education? Answer: Yes, they are eligible for the “service fee” program. The Fee is only passed on to the customer for credit card, Your customer can always choose debit as a no fee option. The merchant also has the ability to not accept debit. If they do not accept debit they pay a low monthly fee to process all transactions. Brings Value to Businesses that do not accept credit card or limit the amount they will take on a credit card. Generally speaking the larger a companies average transaction is, the more our surcharging solution makes sense. It is also a great option for companies that offer recurring billing because it incentivizes customers to pay with a less costly form of payment. In general wholesale and B2B industries have higher dollar amount transactions and lower percentage profit margins making certain types of payment options such as credit card less desirable. Some B2B and Wholesale businesses do not accept credit cards and others limit the amount they will take by credit card. The main reason for this is because the fees to accept credit card end up being a high percentage of the profit margin for B2B and Wholesale Businesses. Our program has several benefits over traditional processing. Reduce Operating Expenses: If you are currently accepting credit cards this will eliminate the transaction fees associated with credit cards. Extended Terms: Accepting credit card as a form of payment gives your customers extended terms, they have another 30 days to pay by putting it on a credit card. Many Wholesale and B2B companies do not accept credit card. Keep in mind our program would allow you to offer credit cards as a form of payment without incurring the processing fees. For a low monthly fee you can give your customers more options. Adding a simple "pay by credit card" link to quotes and invoices can speed up receivables and revenue. If this program makes sense for your distribution network we can set you or your organization up as a referral partner to earn residual income. All you do is connect us with companies that are interested and anyone that is set up you earn a percentage of their credit card sales. Here is a video explaining how it works. In general Specialty Contractors have higher dollar amount transactions. Some Specialty Contractors do not accept credit cards and others limit the amount they will take by credit card. This program allows customers to put very large amounts on a credit card without the contractor incurring the costs. So if a client wants to put a $30,000 dollar Kitchen Remodel on a credit card they can. The true benefit to contractors is that many customers will put as much as they can on a credit card even if they have the money in the bank. They are trying to earn more points and rewards. Why should the contractor pay for the 1.5% cash back the customer gets. Some Contractors already build in the price of credit card to their cost. Keep in mind that if you build in the cost you are putting your non credit card buyers at a disadvantage. If you were to implement this program you could effectively reduce your cost to the customers because they would be paying the fees if they use credit card. Our program would allow you to offer credit cards as a form of payment without incurring the processing fees. For a low monthly fee you can give your customers more options. 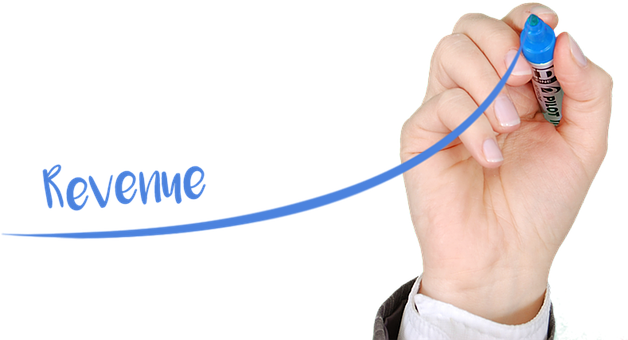 Adding a simple "pay by credit card" link to quotes and invoices can increase revenue. You are giving your customers more buying power and your sales reps more tools to close deals. In general Auto Dealers have higher dollar amount transactions and lower percentage profit margins making certain types of payment options such as credit card less desirable. Some Auto Dealers do not accept credit cards and others limit the amount they will take by credit card. The main reason for this is because the fees to accept credit card end up being a high percentage of the profit margin for Auto Dealers. Increase Sales: Majority of Auto Dealers will not allow customers to purchase a car via credit card. Many of them have limits to the amount they can take for a deposit or down payment. By offering this solution your sales reps will be able to close more deals. Take a survey and ask them if accepting any dollar amount on credit card would help them. Reduce Expenses: For Auto Dealers already accepting credit card this program would reduce operating expenses by eliminating the transaction cost associated with credit cards. Recurring Billing: If you offer warranties or maintenance agreements that are paid in the form of recurring billing. This program would incentivize your customers to pay with a less costly form of payment. Overall it would have a huge reduction of operating Expenses. Many Auto Dealers do not accept credit card. Keep in mind our program would allow you to offer credit cards as a form of payment without incurring the processing fees. For a low monthly fee you can give your customers more options. Adding a simple "pay by credit card" link to quotes and invoices can speed up receivables and revenue. Many Insurance Companies do not Accept Credit Card as a form of payment. In general Insurance Companies are Dealing with Recurring Billing as well as large payments in the form of deductibles. The fees from credit cards reduce their margins significantly. Implementing a surcharging solution like ours brings tremendous value to insurance Companies. Below are some of the benefits to insurance companies. Gives Customers a Incentive to use less costly form of payment: Our program allows customers to pay with credit card but when they do they need to pay the fees, this gives them an incentive to pay with debit or other form of less costly payment. Increase Collections: Allow past due customers to have another payment option. If their check bounces or ACH does not go through it allows for another way to increase collections. Take Larger Payments: Allows customers to pay deductibles and large monthly payments via credit card. You no longer have to limit the amount you will take by credit card. Insurance companies do not accept credit card. Keep in mind our program would allow you to offer credit cards as a form of payment without incurring the processing fees. For a low monthly fee you can give your customers more options. Adding a simple "pay by credit card" link to quotes and invoices can speed up receivables and revenue. Gives Tenants a Incentive to use less costly form of payment: Our program allows tenants to pay with credit card but when they do they need to pay the fees, this gives them an incentive to pay with debit or other form of less costly payment. The Property Management company pays 0% on credit card and 1% plus .25 cents per transaction on personal debit. We can also set up the program so it does not accept debit. If your tenant has the ability to pay with debit they have the ability to ACH, Wire, or simply write a check. Increase Collections: Allow past due tenants to have another payment option. If their check bounces or ACH does not go through it gives them another payment option. When you send out your monthly bill it can include a link to pay by credit card. Reduce Operating Expenses: If you are currently accepting credit cards this will eliminate the transaction fees associated with credit cards, overall increasing your bottom line. Take Larger Payments: Allows tenants to pay deposits and large monthly payments via credit card. You no longer have to limit the amount you will take by credit card. Many Property Management companies do not accept credit card. Keep in mind our program would allow you to offer credit cards as a form of payment without incurring the processing fees. For a low monthly fee you can give your tenants more options. Adding a simple "pay by credit card" link to monthly bills can speed up receivables and revenue. In general Equipment Dealers have higher dollar amount transactions and lower percentage profit margins making certain types of payment options such as credit card less desirable. Some Equipment Dealers do not accept credit cards and others limit the amount they will take by credit card. The main reason for this is because the fees to accept credit card end up being a high percentage of the profit margin for Equipment Dealers. Increase Sales: Majority of Equipment Dealers will not allow customers to purchase Equipment via credit card. Many of them have limits to the amount they can take for a deposit or down payment. By offering this solution your sales reps will be able to close more deals. Take a survey and ask them if accepting any dollar amount on credit card would help them. Reduce Expenses: For Equipment Dealers already accepting credit card this program would reduce operating expenses by eliminating the transaction cost associated with credit cards. Take Larger Down Payments: No longer will you need to limit the amount you can accept by credit card. Many Equipment Dealers do not accept credit card. Keep in mind our program would allow you to offer credit cards as a form of payment without incurring the processing fees. For a low monthly fee you can give your customers more options. Adding a simple "pay by credit card" link to quotes and invoices can speed up receivables and revenue. If this program makes sense for your network we can set you or your organization up as a referral partner to earn residual income. All you do is connect us with companies that are interested and anyone that is set up you earn a percentage of their credit card sales. Here is a video explaining how it works. The longer you wait the more you have paid in fees. Apply Now and eliminate your credit card processing fees. No long term contract requirements. Do you know businesses that could benefit from this program? Our merchant service referral program allows you to earn residual income from accounts set up.